Are You Making These 5 Holiday Remarketing Mistakes? 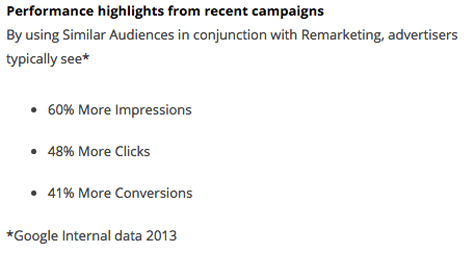 Is there any debate over the effectiveness of remarketing? No way. So why are so many advertisers making the same five mistakes over and over again, costing themselves inordinate sums of money that could otherwise have been used to support ROI? 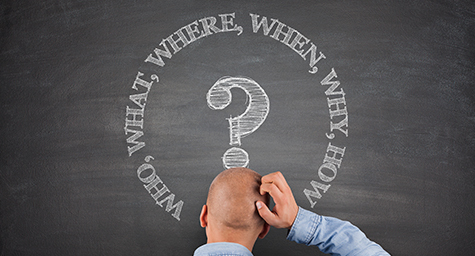 The answer is simple—a lack of setting goals and not using data to make informed decisions about the effectiveness of remarketing efforts. As advertisers gear up for Cyber Monday and the ensuing holiday online shopping season, don’t get caught making these five remarketing mistakes. The worst offenders fall into this category on a regular basis. Successful remarketing strategies rely on effective audience targeting, which is remarkably easy if you take the time to leverage the demographic tools at your disposal. For starters, if you’re running retargeting campaigns on the Google Display Network (GDN), you have access to Audience Insight Reports. 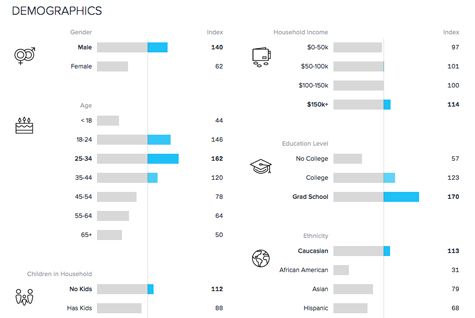 These vibrant statistical visualizations provide a wealth of data that can help refine ad messaging or shift targeting emphasis to a demographic that’s likely to convert. If you want to get technical, the Quantcast tag enables advertisers to literally pin their audience—everything from income statistics to shopping behaviors, media interests, and occupational data. It’s like having a social profile of your audience on demand. When investing the time to learn who your audience is, consider what you actually know about your audience in relation to what you think about them. The best measure of who your audience is and what they want is to collect those insights statistically. Google Analytics has an incredible feature called “Interests,” which is found within the Audience tab of the standard dashboard. Interests allows marketers to explore the affinity categories in which an audience falls. That data can be broken out with e-commerce statistics to understand how people with specific interests purchased from your online store. Relying on the All Website Visitor list for your retargeting efforts is just plain lazy. Google, AdRoll, Quantcast, Rakuten, and Criteo all allow the advertiser to create retargeting lists based on specific user behaviors, which is one of the most impactful resources advertisers have at their disposal. Creating lists based on behavior allows an advertiser to focus their strategy on serving ads to users who are at specific stages of the buying cycle. During the holiday shopping season, when buyers are bombarded with promotional offers, the more specific and direct you are, the better. Create dedicated lists for product categories, stages of the shopping cart (particularly shopping cart abandoners), and previous customers. To be fair, it’s much easier to engage a previous customer with a promotional offer than it is to engage a customer who may have casually browsed your store. Create specific promotions for specific audiences, based on retargeting lists, and you’re in for the win. Another simple tactic advertisers can utilize to build their audience lists is the employment of “similar audience” targeting. Similar audiences are pre-fabricated lists that are created based on the behaviors demonstrated by your existing remarketing lists. These can be affinity audiences, in-market segments, or users who demonstrate similar shopping behaviors as your existing clientele. Be sure to measure these lists carefully with analytics, since Similar Audience lists are excellent for building brand visibility, but are not always a primary channel for maximizing revenue. This may be a given for most technically proficient marketers, but it’s one of the most common mistakes we see on the agency side. Improper tag implementation creates a myriad of issues that can dramatically impede revenue acquisition. There’s no excuse for this, largely because there are diagnostic tools to make sure you’ve done the job properly. First, make sure to read placement instructions carefully. Some pixels or tracking codes need to placed in specific places on a web page, while others are more general purpose and can be put in a header. Either way, make sure that you’re following implementation guidelines specifically for the retargeting provider(s) you’re using. Once the code or pixel has been placed, verify it. Just because your developer said they put the code in all the pages of your website doesn’t mean they did. Double check to make sure the remarketing tags or pixels have been added to all pages of the site you intend to leverage—including shopping carts, landing pages, product pages, and even blog posts if it’s relevant. 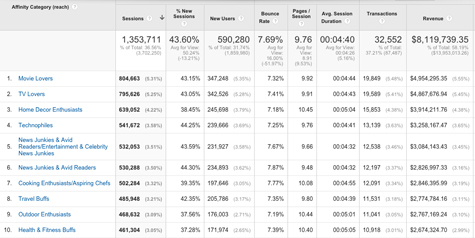 If your code or pixel is placed properly, you should be able to see your audience lists growing. If not, something is wrong, and you’d better remedy it quickly. Remarketing tools are often sensitive to code placements and must be detectable by the platform itself. Most remarketing platforms provide a means of monitoring audience lists as they grow; Google does an excellent job of this by showing how your list has grown over time. Another common mistake in the context of improper tag implementation is poor synchronization between your analytics platform and your remarketing platform. It’s essential that both of your systems are able to pass data back and forth. If you’re utilizing Google products (and why wouldn’t you be? ), ensure that the connection between AdWords and Analytics is properly aligned. If it isn’t, you’ll lose valuable data that could help to improve the profitability and effectiveness of your campaigns. There are a multitude of connections that can go wrong when it comes to synching Google Analytics and AdWords. Despite the process being tedious, account privileges also play a role in what can be accessed and what can’t. Put in the time and diligence to ensure a successful synchronization between AdWords and Analytics, and your reward will be a wealth of demographic data. This is always one of the most “aha” moments for clients who aren’t fully versed in the dark corners of the Google Display Network. It’s imperative that placement exclusions are thoroughly utilized. As much as the GDN is ripe with phenomenal advertising opportunities, there’s an overwhelming volume of junk on the GDN (we’re calling you out apps, games, and celebrity websites) that will zap budget and impede the profitability of your campaigns. Adding placement exclusions is easy, but not immediately intuitive. 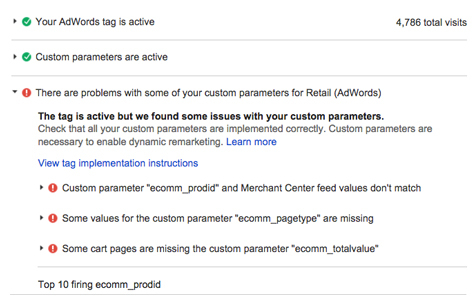 The most important action item is to complete this within the Display Network tab in your AdWords campaign. Placement exclusions are located at the bottom of the “Placements” tab. Site category exclusions flank that option, and should also be fully utilized. Site category options are default settings that can take your ads to some pretty dark places in the GDN. For the most part, you’ll want to restrict ads from serving on most of the site category options, but choose what’s right based on your audience profile. When it comes to leveraging managed placements for retargeting campaigns, do this if you know exactly where your audience spends their time online. This is often a “learned” bit of information, which is not something you know before a campaign has begun. If you noticed substantial revenue from a particular placement while running other campaigns, apply it, but don’t rely on it. The key to an effective retargeting campaign is to maintain a diverse portfolio of websites where your ads can appear. Don’t limit your campaigns by relying on a handful of managed placements, but do prevent your ads from being served on junk websites and apps. This is the worst offender of the bunch and the most common retargeting mistake of all time. Geographic targeting exists so you can serve ads to a relevant location-based audience. Google, by default, creates campaigns that are wide open to the known universe. It’s up to you to target accordingly. Start by remarketing to users in the states where most of your revenue is earned. This data is typically available in your AdWords and Analytics dashboards. Methodically expand a remarketing campaign geographically as you’re able to make quantifiable headway in the context of revenue generation. Relying too heavily on “national” distribution will prevent you from being tactical about placing ads where your target audience is more likely to buy. It’s not worth the time or the money to acquire clicks in geographies that bring traffic, but not sales. Gauge e-commerce data carefully at the regional level to apply those learnings effectively to retargeting restrictions. If you notice that a particular region is getting clicks, but not earning any conversions or delivering incremental value—cut it. Don’t think twice about it. Even if you know the audience you’re working to engage, it may not exist as densely in specific regions [Expert Tip: demographic profiles are a great tool to overlay with Census data). 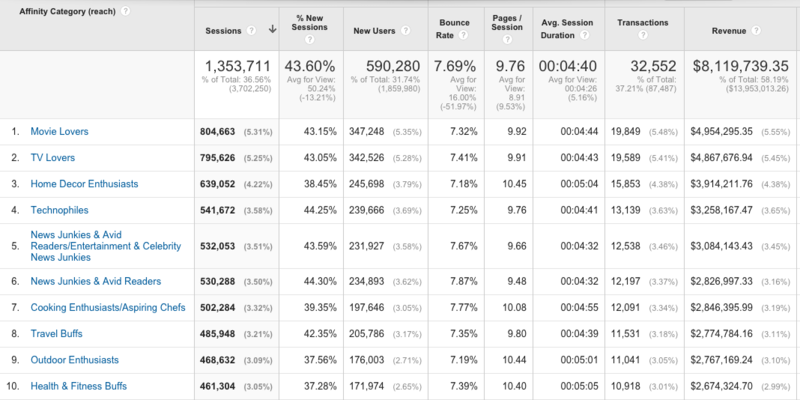 Consistently measure where your revenue is coming from to refine geographic targeting over time. 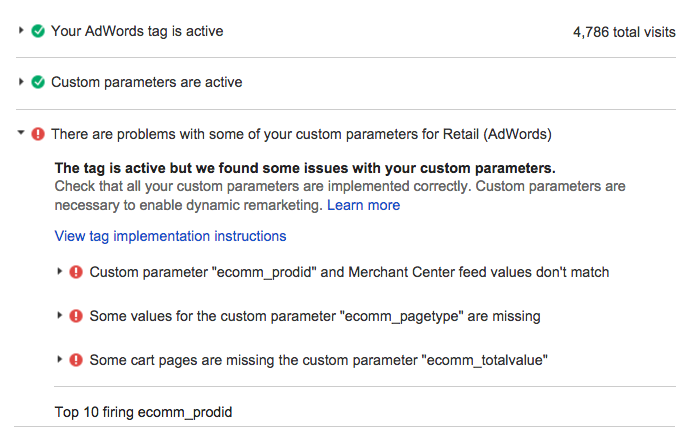 Most of that data can be found in the “User Locations” section of the dimensions tab in AdWords. You might also consider utilizing tools like Google Trends to spot emerging centers of demand. As national or seasonal events occur, volume can fluctuate based on specific states. Creating geo-specific remarketing campaigns can often be an effective tactic for increasing seasonal revenue. The truth is, there are far more than five mistakes that affect most remarketing campaigns on a regular basis. Take the time to meticulously analyze the performance of your campaigns by setting realistic goals and ensuring data integrity. As with any digital marketing campaign, you can improve what you can measure. Learn your audience and learn to adapt campaigns on the fly. Remarketing technology is constantly improving to provide a better experience for consumers and to serve as a practical channel for advertisers. Use remarketing tactfully this holiday season—and don’t stalk the world. Learn the latest tactics for optimizing your holiday remarketing campaigns. Contact MDG Advertising today at 561-338-7797 or visit mdgadvertising.com. 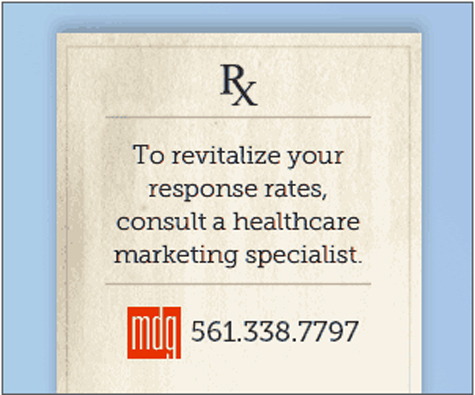 MDG Advertising is a full-service advertising agency and one of Florida’s top branding firms. With offices in Boca Raton and New York City, MDG’s core capabilities include branding, logo design, print advertising, digital marketing, mobile advertising, email marketing, media planning and buying, radio and TV advertising, outdoor advertising, newspaper, video marketing, website design and development, remarketing campaigns, content marketing, social media marketing, and SEO. To discover the latest trends in advertising and branding, contact MDG Advertising today at 561-338-7797.